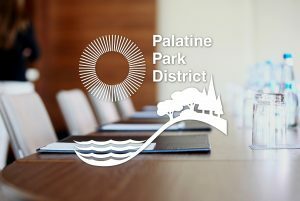 The District and all meetings of the Park Board are subject to the Illinois Open Meetings Act (5 ILCS 120, et seq.) and those requirements within the Act. The Act provides that gatherings of a majority of a quorum of the members of the Board, held for the purpose of discussing public business related to the operations of the District, must be open to the public except when specifically exempt matters are being discussed. These exemptions for executive sessions to be closed are permitted by the Act. A change in legislation now allows a meeting or conversation to occur with two board members on a five member board to be able to discuss business of the District without triggering the Open Meetings Act requirements. The statute also encompasses meetings of the board committees and subcommittees and any advisory boards of the District (5 ILCS 120/1.02). The District, in compliance with the Open Meetings Act, will designate all regular, special, continued, and committee meetings open to the public except when a qualified executive session may be called. Adjournment of a regular, special, or committee meeting to a later date may be duly taken by Board action in accordance to the powers and duties of the Board. At such adjourned meetings, all business may be regularly transacted which would have been proper in the meeting from which the adjourned meeting was taken.